You don’t know anything at all about Office 2016. You have fundamental or expert knowledge of older versions of Microsoft Office and now want to leverage the new features in Office 2016. You are the last man on Earth with Microsoft Office 95. One of the picks above will decide how you want to learn as soon as you start with Microsoft Office 2016 Upgrade to Office 2016 for Free Today with Your Office 365 Subscription Upgrade to Office 2016 for Free Today with Your Office 365 Subscription Microsoft Office 2016 for Windows has landed and it brings many smart new features. If you have an Office 365 subscription, you can get it now for free and we show you how below. Read More . The first one will take some work, while the second is a weekend’s effort. The last one? Stay where you are. With that done, let’s address your reluctance to learn another new piece of software. Worry not, Microsoft Office 2016 isn’t all that different from its previous avatar. The fresh features are built for more productive collaboration and if you decide to upgrade to Microsoft Office 2016 13+ Reasons You Should Upgrade to Microsoft Office 2016 13+ Reasons You Should Upgrade to Microsoft Office 2016 Microsoft Office 2016 is here and it's time for you to make a decision. The productivity question is -- should you upgrade? We give you the new features and the fresher reasons to help you... Read More , the learning curve isn’t very steep. So, put on the harness and let’s rappel up the curve with these mix ‘n match of resources to learn a bit more about Office. After all, every new Microsoft Office tip 8 Things You Can Do in Office That You Never Thought Of 8 Things You Can Do in Office That You Never Thought Of Microsoft Office turns the Pareto Principle on its head: 80% of its users only use 20% of the features. Time to rediscover Microsoft Office features you never considered. We have compiled eight insanely useful productivity... Read More learnt could take you up a rung or two with office productivity. This absolutely is your base camp. The Microsoft Training Center is the jump-off base to go to product related information and learning guides. If you are on an older Office version, start by noting the enhancements A Microsoft Office 2016 Preview: Smart & Subtle Changes A Microsoft Office 2016 Preview: Smart & Subtle Changes Office 2016 for Mac was just released and the Windows version will follow in the fall. We show you the new look and features of the world's most popular productivity suite. Will you upgrade? Read More and checking if this makes a critical difference to your current workflow. For instance, Co-authoring could be important for you and your team, but not for someone like me who sits alone and bangs out simple blog posts. But then Shared Notebooks in OneNote could be great for group brainstorming. Follow it up with Microsoft Office 2016 Quick Start Guides. As the names and PDF download indicate, these introduce the basics of Word, Excel, PowerPoint, Outlook, and OneNote. You can also view them online in Sway. Two other options help to laser focus your learning. You can Learn by app or service or Learn by scenario. Both are supported by clear videos and easy to understand instructions. For each individual app, you can teach yourself how it functions on the different platforms. Remember, Microsoft Office is cross-platform now and the well-designed touch first Office apps Microsoft Office Leaps Into a New Era with Touch First Apps & New Desktop Suite Microsoft Office Leaps Into a New Era with Touch First Apps & New Desktop Suite Office has been the gold standard for office suites for a very long time. Microsoft is working hard to keep it that way as it's expanding to new platforms and technology. Read More are one of the smart changes brought about by Redmond. I also find the Microsoft Office Twitter page useful for not only first-hand tip hints (hashtag: #OfficeTips) but also for the many behind-the-scenes stories around the product. That gives you new ideas to adopt for your own workflow. For the same parallel benefits – keep the Office Blog page bookmarked. Think of Tell Me as Clippy with the intelligence, but without the annoyance. The assistant is now a part of the Ribbon and is packaged to improve your document productivity. Tell Me is part of both Office Online Don't Pay For Word! 5 Reasons You Should Use Office Online Don't Pay For Word! 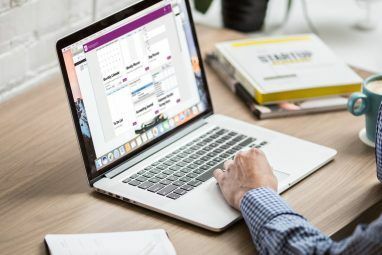 5 Reasons You Should Use Office Online Office Online is the free and cloud-connected version of Microsoft Office. Limitations are compensated by features, useful even to users of desktop Office. Best of all is its Read More and the desktop suite of apps. Type what you want to do in the Tell me what you want to do field and it helps you easily and quickly find the right Office feature or command. Tell Me goes beyond that by showing you the menu command to do the function. So, here’s a good way to learn Office 2016 features. When you have an idea of what you want to do, type it in box. Tell Me works in Microsoft Word, Excel, PowerPoint, Outlook, and Office 365. As you can see, you can do it and learn, or you can read some documentation via Get Help. You can also use the Bing-powered Smart Lookup to search for more information on the web. I have often found that information from the web is easier to digest than official documentation. Tell Me is useful for both new users who just want to work with the basics, and experienced users who want a quicker way to do something without digging into the menus. For instance, type “mail” and the assistant shows you all the options for handling mail related tasks. I have also tried it with some general functional keywords with good results. For e.g. “Distribution” or “Confidential”. Try them. See what comes up. 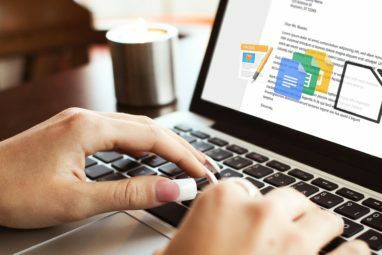 I am a seasoned user, but the Tell Me feature is fun for some obscure feature finding in any Microsoft Office app 10 Hidden Features of Microsoft Word That Will Make Your Life Easier 10 Hidden Features of Microsoft Word That Will Make Your Life Easier Microsoft Word is deceptively simple. You are fine as long as you fire up a document and just type. But Microsoft Word wouldn't be the Swiss knife it is without its productive features. Read More . We have gone to the well-known online learning site a few times before for creative courses on digital arts Learn Digital Art from Scratch With These 22 Lynda Courses Learn Digital Art from Scratch With These 22 Lynda Courses With hundreds of online courses to choose from, Lynda.com is the fastest way to mastery of digital art. Here are a few courses to get you started. Read More . The LinkedIn site has also been first off the blocks with courses on Microsoft Office 2016. Start with the Preview course on Microsoft Office and then pick from the Essential Series. The longest course is for Excel, which clocks out at 8 hours. The remaining courses are short enough for a few hours of the day. Lynda.com needs a subscription. With LinkedIn in the background, it could be a good investment for your professional development. It’s no surprise that Office courses are among our most popular. In fact, the corresponding videos for Office 2013 courses have 10+ million views by 430K+ viewers. As new courses get added periodically, proficiency in the Office tools shouldn’t be too hard to reach. Personal development is easier if you do not have to hunt around for guidance. Udemy has a good catalog of Office Productivity courses. Go to the All Courses tab and filter through to the ones you want to take. The search and sort doesn’t surface the Microsoft Office 2016 courses that easily. I found it easier with a Google site search. As Microsoft Office 2016 is new, expectedly most of the courses are paid. But look out for coupons and special discounts to bring down the low costs a bit more. Also, benchmark the course content, the ratings, and the number of students enrolled to decide on the quality of the course before you enroll in it. Most of the courses are on Excel right now. You will find enough videos to help you recognize the new features and view a few demos in action. I immediately found a good Excel 2016 playlist on the HowToPotato channel. Also, try searching with a specific feature and understand the difference with previous versions of Office. For example, a video from Adam Hutchins demonstrates the change in Power View in Excel. The official Office Videos channel is a bit bare now, but there are some good video tutorials on Sway and Office 365 – both of which you might end up using with Office 2016. The training site pops up near the top of a Google search for Microsoft Office 2016 training videos. I haven’t tried the course so I cannot vouch for its quality. The course comes bundled as a 6-program tutorial set designed by experts with over 300 lessons for Word, Excel, PowerPoint, Outlook, Access, and OneNote 2016. As advertised it has realistic simulations with background narrations. The lessons are complemented by hands-on exercises and quizzes. The interactivity of Professor Teaches could be a good option for beginners who are computer phobic, but like to learn on their own. You can purchase the download for individual apps or buy them as a bundle. But after careful consideration. Go through each course outline to see what’s included. It is also available on Amazon, but I couldn’t spot any reviews yet. The tutorial landscape is going to change very fast. But there’s an easy way to keep yourself updated on the fresh Office 2016 learning content that comes in. A MOOC like edX has a learning partnership with Microsoft. You can find a few Microsoft 365 courses there. Tell us in the comments if you find a new Microsoft Office 2016 course, okay? Want to learn quickly? Ask the right questions How To Ask Questions Online & Actually Get Answers [Opinion] How To Ask Questions Online & Actually Get Answers [Opinion] Do you want quality responses to your questions online? Ask quality questions. What are quality questions? They're friendly, relevant, to-the-point and provide enough information that the question can actually be answered. If you want quality... Read More . Thanks to the new Tell Me feature, Microsoft has made it easier to leap into the Office suite. A combination of the guides and the help from the software itself is enough to get you off the blocks. If we consider that one in seven people in the world use the software, it stands to reason that a lot of people are asking the same questions…and getting the answers. Try online communities. But search through it first to see if your question has already been answered. Here are a few places for Microsoft Office users. One of the best ways to learn something new is to start with the end goal in mind. Take up a project you are really into. Something personal. Maybe, it can be designing a photo album 10 Free PowerPoint Templates to Present Your Photos With Style 10 Free PowerPoint Templates to Present Your Photos With Style The most common use of PowerPoint with photos is their use as photo albums. Create your own...or use the hundreds of free templates in the Office template gallery. We pick ten attractive ones. Read More . It can be planning a family budget 7 Useful Excel Sheets to Instantly Improve Your Family's Budget 7 Useful Excel Sheets to Instantly Improve Your Family's Budget It's not always easy to set up a family budget, but these seven templates will give you the structure you need to get started. Read More before the holidays. Microsoft Office can touch all corners of your life. Seeking out the ways and means to complete a personal project is a learning motivator. Grout your day on the project and take the help of the web to find your way around the software. A simulated project is commonly used for learning a programming language 5 Project Ideas To Help You Learn Programming Faster 5 Project Ideas To Help You Learn Programming Faster There are a few ways to ease the learning curve for programming. Get your hands dirty and learn faster with side projects you can start anytime. Play around with these five. Read More . Borrow this less bookish idea for Microsoft Office 2016. Here are a three “project” ideas you can try. Make a minimal movie poster in Word. Make a purchase plan for a car in Excel. Make an interactive resume in PowerPoint. Tell us your ideas in the comments, too. 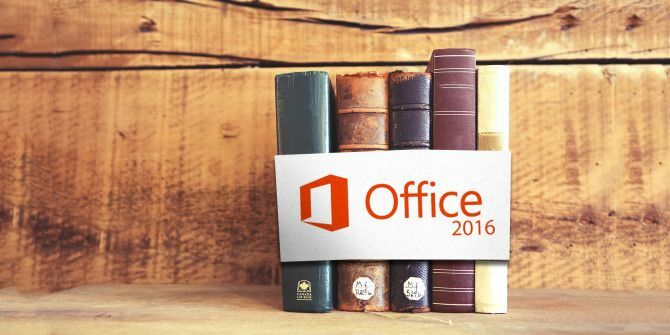 How Are You Tackling Microsoft Office 2016? The latest version isn’t a radical makeover from the earlier versions. 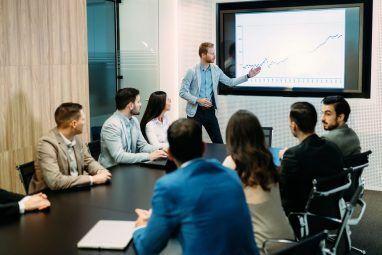 As we have seen, collaboration is a key change, but there’s not much more which will make you run and buy the latest Office bible. If you were hands-on with the versions that came before, rest assured that you can dive straightaway into the deep end of the pool and not drown. At MakeUseOf.com, we have always brought you well thought out Microsoft Office tutorials Upgrade Your Skills with the Best Microsoft Office Courses Online Upgrade Your Skills with the Best Microsoft Office Courses Online Microsoft Office is a required skill across offices worldwide. How adept are you? Massive Open Online Courses offer everyone the training to get better at it anytime, anywhere. Read More . That’s not going to change. So, keep your eyes glued on the homepage and keep sharpening your skills. Do you like Microsoft Office 2016? Which is the feature you most welcome? What would you like to learn on the software? Tell us and we will rush in with the best instructional tutorial on the topic. Explore more about: Education Technology, Microsoft Excel, Microsoft Office 2016, Microsoft Office 365, Microsoft Office Online, Microsoft OneNote, Microsoft PowerPoint, Microsoft Word. Till then, you can take a look at this official Office 2016 video. And others on YouTube of course. Hi, April. I'm able to deliver online training for Outlook 2016. Are you on an Exchange system? Or do you work with POP mail? I am looking for someone that can provide virtual one on one training for Outlook 2016, where can I find a qualified trainer?